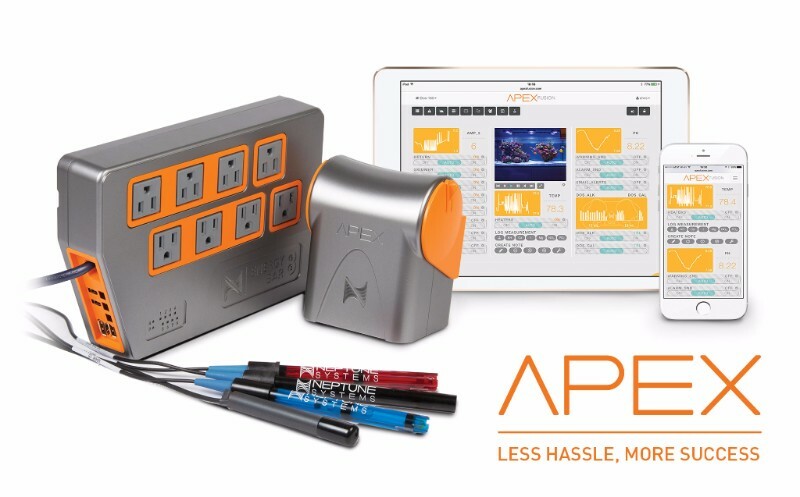 The Next Generation Apex is here and it’s simply called “The Apex”. Neptune is not doing away with the “Classic Apex” but they have discontinued the Apex Gold and Standard Grade pH probe package. 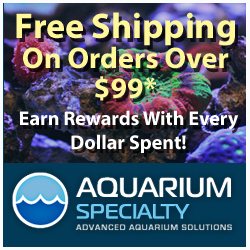 Recently the Gold package went on sale for up to $100.00 off the regular price. The new Apex has a price tag of $799.95 and it will include a new energy bar system called the Energy Bar 832. Sold separately, the EB832 will cost $249.95 but it will not be available for several weeks after the initial Apex system release. For years Neptune has advocated a wired network connection to the Apex controller due to its superior reliability and they still do. However, for many people a wired connection is just not possible so Neptune have added WiFi into the platform. Neptune has built and redesigned the EB832 from the ground up and the unit includes eight 120V AC outlets and it includes an internal 100W 24VDC power supply as well. 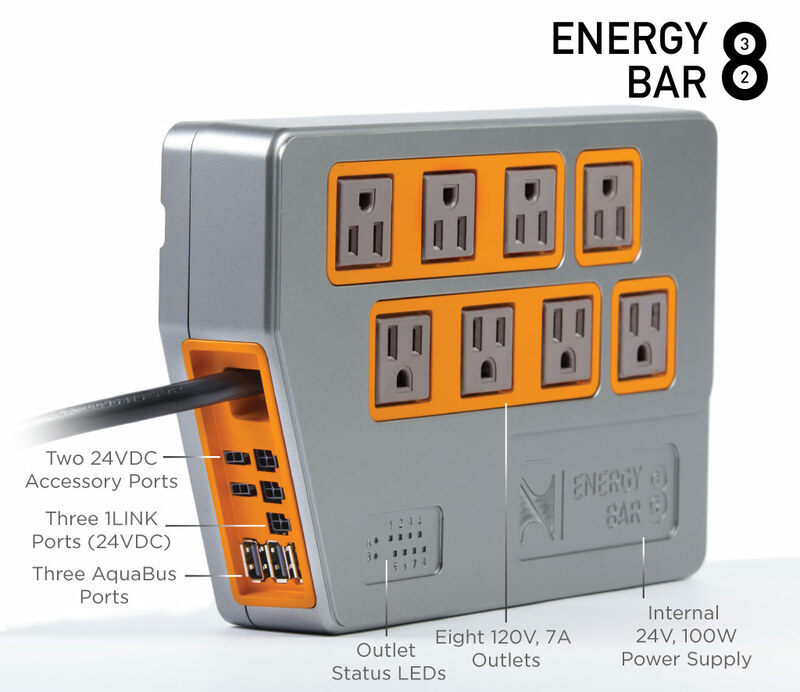 That power supply feeds three built-in 1LINK ports as well as two 24VDC accessory ports. Each individual outlet has power monitoring and there are individual LED indicators for each outlet.